When it comes to making lasting change, we all know that relationships matter. 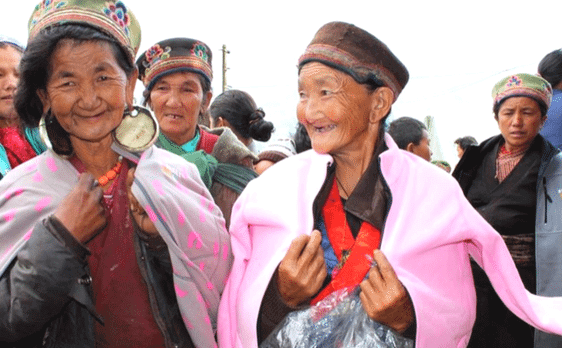 The Conscious Connections Foundation (CCF) grew out of the more than thirty year long relationships built by Ganesh Himal Trading in which we have partnered directly with individuals and communities in Nepal, striving to give them an economic voice. But through this work we realized that often times, without supportive infrastructure, jobs aren’t enough. 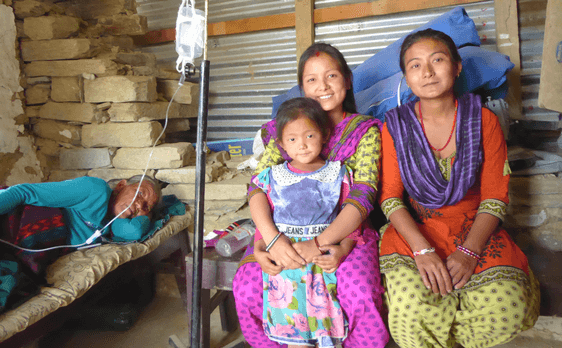 CCF was formed to partner with Nepali communities and individuals to put in place simple but effective programs in education, health care and infrastructure development that are Nepali designed and led with a particular focus on the advancement of women and girls. From our combined efforts the Conscious Connections Foundation was born and CCF was officially given its 501(c)3 status on September 5th, 2014. To learn more about what the Conscious Connections Foundation is doing, please visit our website. Partnering with local NGO’s to re-roof existing schools. Buying land for remote rural schools so new schools can be constructed. Providing increased salaries for teachers in remote regions. Quickly responding with emergency food and shelter. Re-building earthquake damaged homes, clinics and schools. Organizing the distribution of 1000+ lightweight portable solar lights in areas without electricity. Supplied over 200 families of 4 in multiple villages scattered throughout Dhading District with food and shelter within 10 days of the initial earthquake and over 1850 families of 4 within 30 days. All for approximately $20/family for food for a month. Through emphasis on relationships, individual connections, direct impact, and partnerships CCF and many other small NGO’s were able to provide immediate emergency relief to villages which had lost nearly all of their livestock, food supplies, and shelter. Often, this aid came weeks or months before larger relief agencies even reached these villages. Providing monthly stipends for 100+ students, with a focus on girls. Building an educational endowment for these stipends to impact even more children far into the future. Granting and developing merit and need based scholarships for urban and rural girls to go to college. During their 30+ years of business in Nepal with their fair trade import company Ganesh Himal Trading, CCF chair Denise Attwood & husband Ric Conor witnessed first-hand the positive change that comes from empowering women and educating daughters. For this reason, Ganesh Himal made it a priority to support projects like the Association of Craft Producer’s (ACP), Girl Child Education Fund- a scholarship program providing monthly stipends to families as incentive to keep daughters in school. Building and staffing a women run rural health clinic. Developing educational opportunities for clinic staff using visiting doctors, and specialized health camps. Inspiring and promoting Nepali leadership in projects around women and girls hygiene and healthcare. Where there is a lack of access to basic healthcare treatment facilities, even the simplest issues can turn debilitating or even fatal. When the nearest treatment is a day’s walk or more away, a tooth ache can develop into life threatening disease. When such a facility is present, not only can these threats be assessed and addressed, but it can serve as a platform from which to educate a community about the prevention of such issues.